The launch was attended by close to 70 guests comprising media, SK-II’s retail partners and Mediacorp celebrities, Rebecca Lim and Qi Yuwu. They make a special appearance to learn the unique story behind SK-II miracle ingredient. 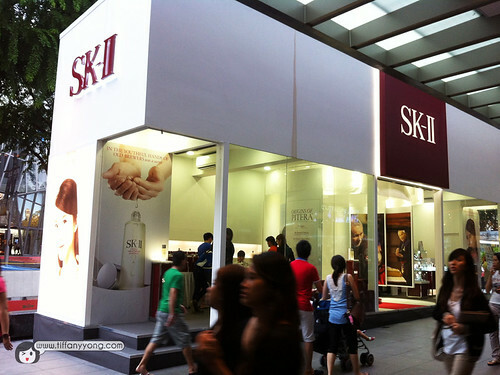 I guess all of us know the famous story behind SK-II. Unveiling the first-ever collaboration with award-winning director, Tom Hooper, with his fresh modern interpretation of SK-II’s discovery story video. The Genesis of a Powerful Ingredient: Pitera™ story began 35 years ago at a sake brewery in Japan. SK-II scientists noticed that the elderly sake brewers had wrinkled faces but extraordinary soft and youthful hands. Observing that their hands came in constant contact with the yeast during the sake fermentation process, the scientists conducted further investigations into fermentation processes and the yeast strains. Years of research and 350 yeast strains later, SK-II successfully isolated the unique ingredient Pitera™, a naturally-occurring liquid produced only under a strictly controlled environment. Toasting to a legacy of crystal clear transformations that would not have been possible without the discovery of the Pitera™ miracle. 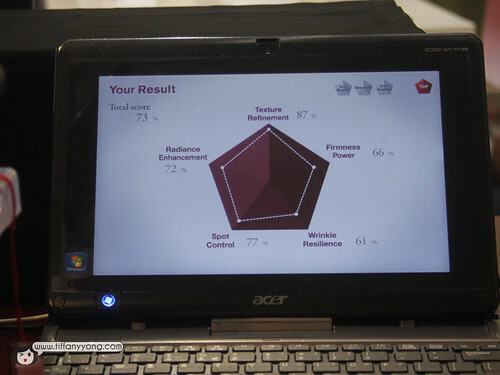 Rebecca Lim was invited to carry out a live demonstration, recreating that chance observation of the soft, youthful hands of aged sake brewers, which inspired SK-II scientist to further investigate different strains of yeast and fermentation conditions. Experiencing and rediscovering the SK-II story with established Sake Sommelier Hiroomi Nagamatsu. 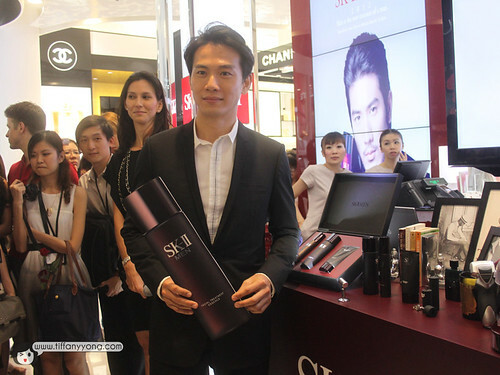 After the demonstration, we were invited to the SK-II counter where Qi Yuwu was invited to share his experience using the new SK-II MEN Facial Treatment Essence. I was right behind him, and from what I saw, his skin (without make-up) was quite good, with some light freckles. SK-II Beauty trainer, Cindy Cheong shared the top skin issues that men faced, accompanied by a live demonstration of maximizing the benefits of the SK-II MEN regimen. He passed! The skin analysis check the texture refinement, radiance enhancement, firmness power, spots control and wrinkle resilience of your skin. Using the Pitera™, they can effectively improve the five dimensions of our skin. 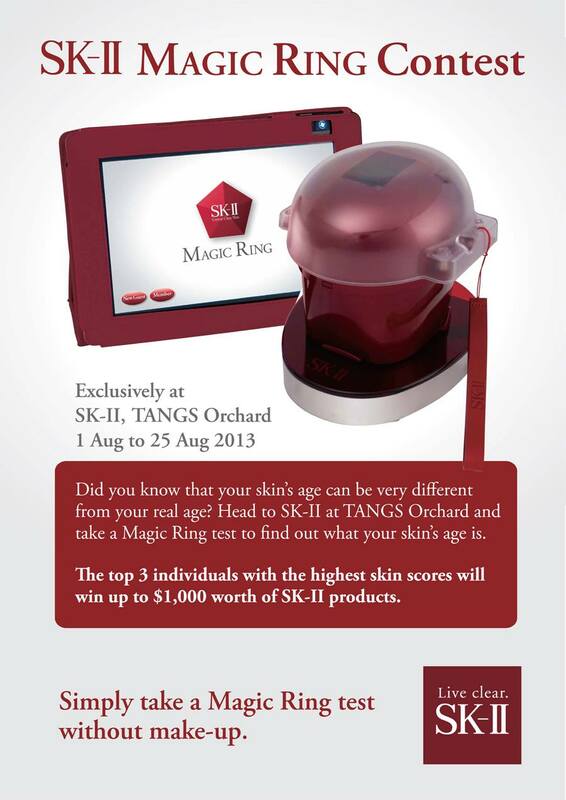 Visit the SK-II Pitera™ House at TANGS Orchard and enjoy special deals from 1 Aug (Thu) till 11 Aug (Sun) ’13. Receive a 5-pc gift set* (worth $98) with a minimum purchase of $250 worth and a 9-pc gift set* (worth $328) with a minimum purchase of $650 at SK-II. Receive a SK-II Colour Clear Beauty eye shadow* when you purchase a SK-II Facial Treatment Essence (215ml) at $233. 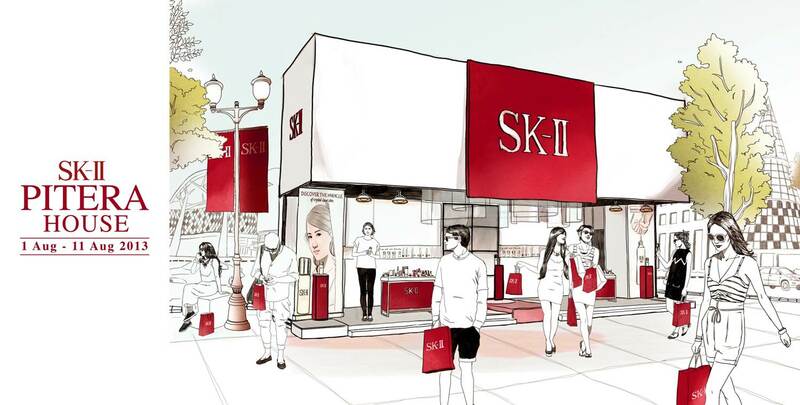 Receive an additional $30 SK-II Beauty Voucher* with a minimum purchase of $250 at SK-II. Receive additional 2pc Facial Treatment Mask* with a minimum purchase of $550^ at SK-II. Head down to SK-II Pitera™ House at TANGS Orchard today for a complimentary Magic Ring skin analysis and stand a chance to walk away with $1,000 worth of SK-II products. The top 3 individuals with the highest skin scores will be chosen as the winners. For more details, check out SK-II Facebook Page Now! Disclaimer: Please be rest assured that opinions stated are genuine and honest. Also note that all sources, information, content, links are valid to change at any time.